NCIS has attracted its fair share of famous guest stars over the thirteen seasons so far, and the show still manages to surprise with some of the big names that it brings to primetime television. Now, NCIS may have just surpassed itself on the guest star scene. 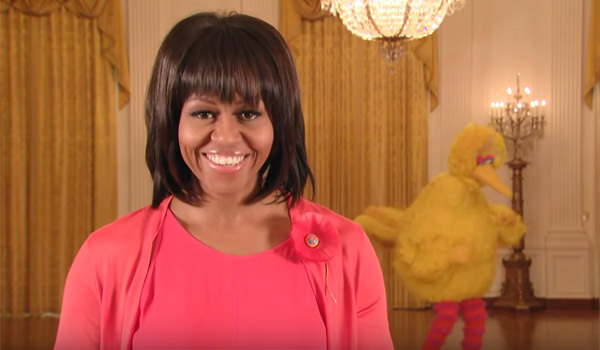 First Lady Michelle Obama will be part of an upcoming episode. The First Lady won’t even have to leave home to film for NCIS. The show is coming to her at the White House, according to The Washington Post. The scoop comes courtesy of star Mark Harmon, who was spotted leaving the White House. He revealed that the show would be filming on location outside and inside the building. Harmon didn’t give away just what role the First Lady would be playing in the show, so there’s no saying whether she’ll have a major role in the plot or just make a cameo appearance among the characters. Who knows? Maybe NCIS became a favorite show sometime over the past few years and this will be a dream come true for her. No matter what the context is for her appearance, we can count on the episode being one to remember. It isn’t every series that can land a member of the First Family. Of course, Michelle Obama turning up in an episode of NCIS won’t be the first time that she played a part on a primetime TV show. She dropped by Parks and Recreation back in Season 6 to pitch her “Moving Up” campaign to a very excited Leslie Knope. NCIS doesn’t have the same tone as Parks and Rec nor the talking head style that pretty much allowed the First Lady to address the audience. If Mrs. Obama’s screentime on NCIS is also used to promote one of her causes, we can bet that the fourth wall will remain much more intact. A lot of the news coming out of NCIS lately has been tinged with sadness thanks to the departure of Michael Weatherly as Tony DiNozzo, and even the announcements of new characters haven’t been as exciting as they might have been if they weren’t replacing Weatherly. The First Lady visiting the series is the exact kind of news that some of us have needed to cheer up about what’s ahead in the near future. There’s no word just yet of when the episode featuring Michelle Obama will hit the airwaves, so be sure to tune in to NCIS on Tuesdays at 8 p.m. ET to see what happens to prompt Gibbs to drop by the White House. Don’t forget to check out our schedule of summer premiere dates to figure out when your favorite shows will be back.